Few creatures are as feared and misunderstood as spiders. For the most part, spiders are harmless and generally beneficial to us, by keeping insect populations in check. Spiders are seldom aggressive and bite only when threatened or injured. Few spiders bite people, and the venom of most is harmless. 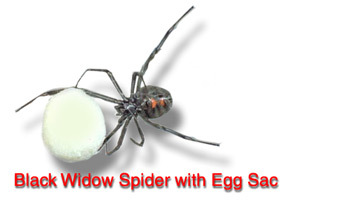 However, the bite of the black widow and the brown recluse spider (also known as the Recluse or Fiddle Back) can be quite dangerous. 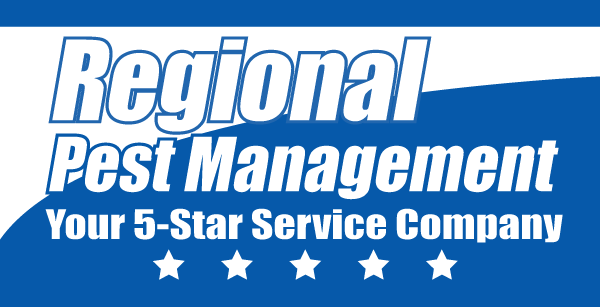 Beneficial or not, if spiders indoors or outdoors become a pest, you need to call Regional Pest Management at 1-800-36-5-STAR to bring them under control. The better you understand any pest, the easier it will be to eliminate or control - and Regional Pest Management understands spiders! Spiders are the largest group of arachnids. There are more than 35,000 named species worldwide, including about 3,000 in North America. These predators live almost everywhere - on the ground, under rocks, inside and underneath playground equipment, among grasses, on plants, in tree branches, in underground caves and even on the water. Spiders frequently stray into dwellings, or may be accidentally introduced on firewood, laundry that has been hung out to dry, and on flowers. In windows and near outdoor lighting, web-building spiders often construct webs because insect prey may be attracted at night by the lights and by air currents. Spiders are abundant (over 1,000,000 individuals per acre in a grassy field) and can be found almost anywhere from the bedroom closet to the 22,000 foot level on Mt. Everest. There are about 2,500 different species in North America. Some live in holes in the ground while others may be found under rocks or logs. Those that prefer dark, shaded areas may also be found in cellars and basements. As we mentioned above, most spiders found in homes and buildings are "accidental invaders"; however, homes in wooded areas or with naturalized or landscaped foundations may be prone to more frequent invasion because the surroundings are ideal spider habitats. Virtually all spiders have poison glands that connect with the fangs. Venom produced by the glands apparently is used to kill or paralyze prey and in defense. Most species do not attempt to bite humans; many have fangs that are not capable of piercing human skin. However, some will, with results that are similar to a wasp or bee sting. There is always the chance that a person can have an allergic reaction to the venom.